Spotted at an Indonesia game shop by Japanese site Game Watch Impress. 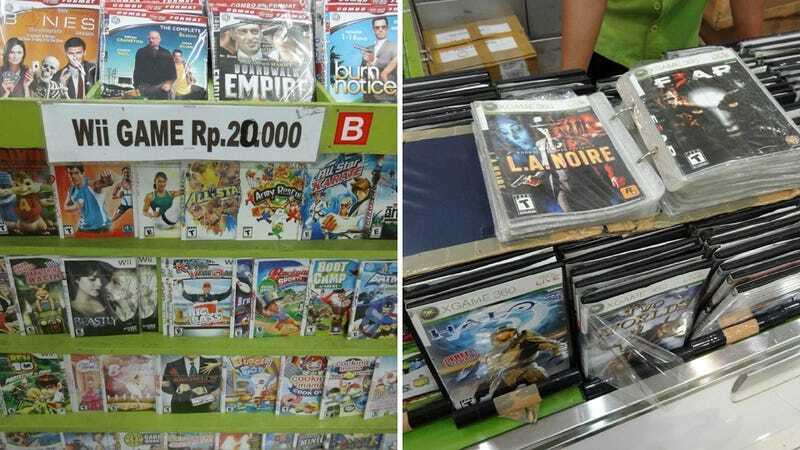 All these Wii games are priced at Rp.20,000 or around US$2.30. The game shop, like so many in the region, also had binders and binders of pirated Xbox 360 games—here, XGame 360.